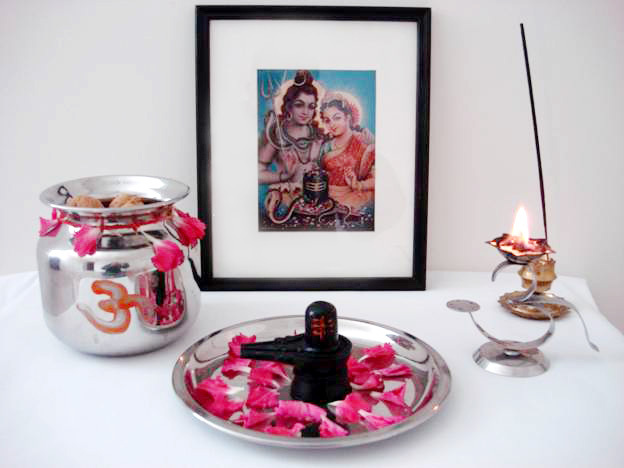 hivratri is the most important festival of Kashmiri Pandits. It is celebrated on the 12th day of the dark fortnight during the month of Phalgun and this year it falls on Saturday February 9. Much confusion exists about why we celebrate Shivratri. Unlike most other Hindus, KPs perform a dual pooja on this day. Thus, we worship Vatuknath Bhairav, one of the eight Bhairavs (a fierce manifestation of Bhagwan Shankar). We do this to assure protection from and defeat of the evil. We also worship the union of Shiv and Shakti. According to ‘Shiv Maha Puran’, when Brahma and Vishnu were arguing as to who among them was the creator of life, Bhagwan Shankar manifesting as Jyotir Ling told them that it was the union of Shiv and Shakti that creates life and not either of them. Shivratri is the celebration of that moment, in other words we celebrate the creation of life. In Kashmir, with the joint family system and all family members being in the same town, it was a tradition that only the elder member of a family would perform Vatak-pooja. Many people, including people living in the US, follow the same tradition. So that if our parents in India, or an elder brother in a distant place, perform the pooja, we do not do it. The result is that our children will never get to know the ritual and more likely not perform it when their time comes. I strongly urge all of you to make it a point that every household sets up a Vatuk and performs a pooja no matter how simple it may be. For performing ‘Vatak-pooja’ there are many guides in the form of booklets, CDs and tapes available. The procedure is often quite complex and requires many exotic materials and skills. On top of that, the pooja itself is recited in Sanskrit. I feel that for any prayer to be effective, one has to first understand what one is saying. Keeping all these factors in mind, I have designed a short pooja that is meant primarily for those who have never performed one before. For those who perform the pooja every year, this is not a substitute. A word about the use of walnuts; walnuts are not indigenous to Kashmir and have their origin in Central Asia. These are used because of their abundance and availability in winter just as people of coastal areas use coconut for most of their rituals. 1. A photograph of Shiv and Parvati. 2. A small pot (gadva) filled with water and odd number of whole walnuts, some sugar and milk. 5. A glass of water mixed with a spoon of milk, yogurt and honey. 8. A brass lamp with cotton wick and ghee. 9. Sindoor made into a paste with yogurt. 11. Dry fruit for ‘prasad’. The pooja is performed in the evening. (We meditate on the glory of the Creator, Who has created the Universe, Who is worthy of Worship, Who is the embodiment of Knowledge and Light, Who is the remover of all Sin and Ignorance, May He enlighten our Intellect). Om namah shambhavay cha, mayobhavay cha, namah Shankaraya cha, mysakaray cha namah: Shivay cha, Shivataray cha. In Shivratri pooja we often recite 42 verses of Mahimnastotra. You can recite one of these verses. (There is no God higher than Shiva, there is no hymn better than the hymn praising the greatness of Shiva, there is no mantra more powerful than the name of Shiva and there is nothing higher to be known than the real nature of the spiritual guide in Shiva). (Jagatamba, who while engaged in the creation of the world is always witnessed by the absolute truth of Shiva, and as wife of Shiva She gives strength to the ever changing world. She is Gauri the pure sublime mother with lotus eyes, I worship Her). Give flowers to everyone present and recite the Shankarji’s arti. Brahma Vishnu Sadha Shiv, ardhangi dhara, Om Har Har Har Mahadev. Hansanan garudason vresh vahan saje, Om Har Har Har Mahadev. Teenu roop nikhrat, tribhuvan-jan mohe, Om Har Har Har Mahadev. Tripurari kansari karmala dhari, Om Har Har Har Mahadev. Sankadhik garudadhik bhutadik sange, Om Har Har Har Mahadev. Sukhkari dukhhari jug-palan kari, Om Har Har Har Mahadev. Pranvakher me shobit yeh teenu eakha, Om Har Har Har Mahadev. Kahat Shivanand Swami maanvanchit phal pave, Om Har Har Har Mahadev. Everyone put flowers on the Shiv-ling and the Shiv Parvati picture. Bring a thali with little bit of everything you have cooked for dinner and place it in front of Vatuknath. Do the pranam and ask for blessings. Distribute the Prasad (dry fruit etc). Serve dinner. After dinner place the contents of the thali outside your house on a clean place. After two more days (on the morning of amavasya, this year on March11) the walnuts should be taken out of the water and eaten with rotis made from rice-flour. On the same day, put the flowers and the water from bathing of Shiv-ling in a stream or under a tree. 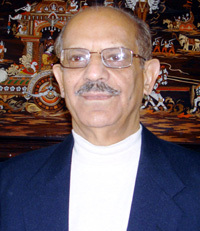 *Dr. Ashok Raina was born in Srinagar and came to the US in 1970. After working in the area of insect behavior and physiology for over 40 years and in three continents, he retired from the US Department of Agriculture in 2008 and currently lives with his wife Santosh, in Maryland. He has published over 170 scientific papers and is internationally recognized for his work on insects. Now he would much like to spend time in reading, writing (not related to insects) and travel. His primary interest is in exploring links between science and Hindu religion. Thank you Ashok ji. Very helpful for our children. I forwarded it to Neha.